Valentine’s in Kurdistan – forget the red rose! Oh yes! That time of year. My dearest most loved loyal blog reader(s), it only took a walk through Family Mall and a drive in Ankawa earlier this week to realize the red-Valentine fever is here too! Women’s clothing shops have all their red dresses on the mannequins, shops with stationery supplies have the entire red theme going on (I have a picture to prove) And Family Mall for example has their usual Valentine’s Day love seat for couples to take pictures on. I will keep my ramblings and arguments of Valentine’s Day to myself this time. However, in times of war, conflict, hatred and in a world of killing I welcome any gesture of love and will not stand or speak against it. In my part of the world some people don’t even know Valentines Day exists, others plan their wedding dates on this day. Some celebrate it not knowing the story behind its existence, and there are others who find it shameful to wear red on February 14th suggesting that it’s screaming out loud and clear: “People! I AM IN LOVE!” Hence, mixed thoughts on this issue. Society in general hasn’t made up its mind yet to accept or refute. I would love to celebrate a day of love if the occasion commemorated some of the biggest lovers/ love stories in Kurdish literature. I’d feel like I own the occasion more. 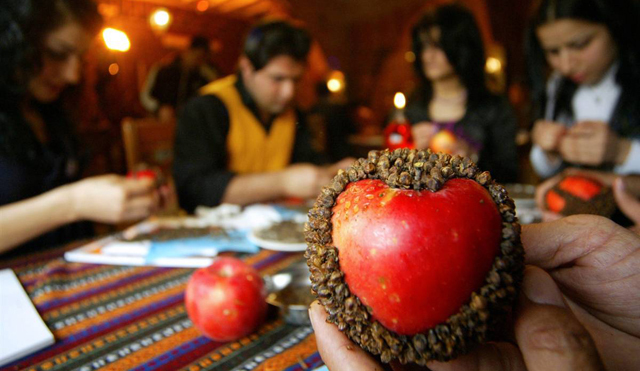 Or instead of chocolates, red roses and teddy bears we can give the traditional sewi mekhik, the apple with cloves? 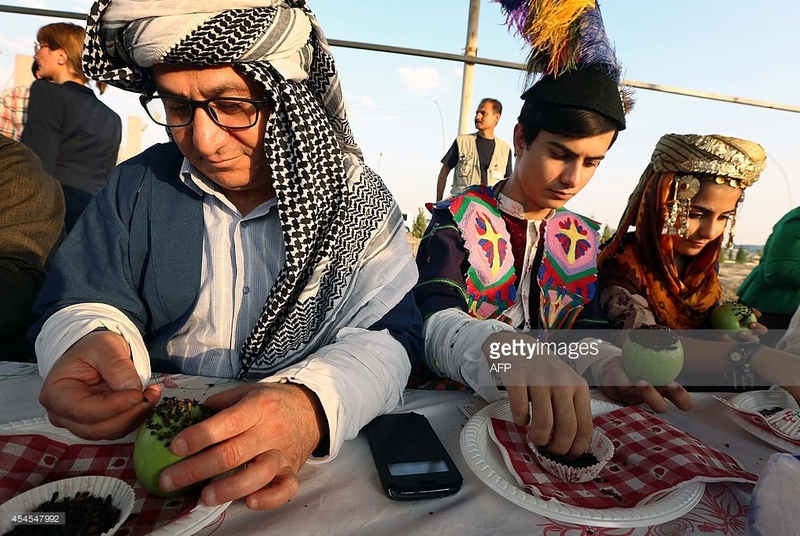 There is so much Kurdish culture we can use, but unfortunately it doesn’t have as much publicity or propaganda as those of the west, and hence, we opt to forget our culture and just… go with the teddy, red rose and the chocolates. Do I make sense? No? Any-howwww. 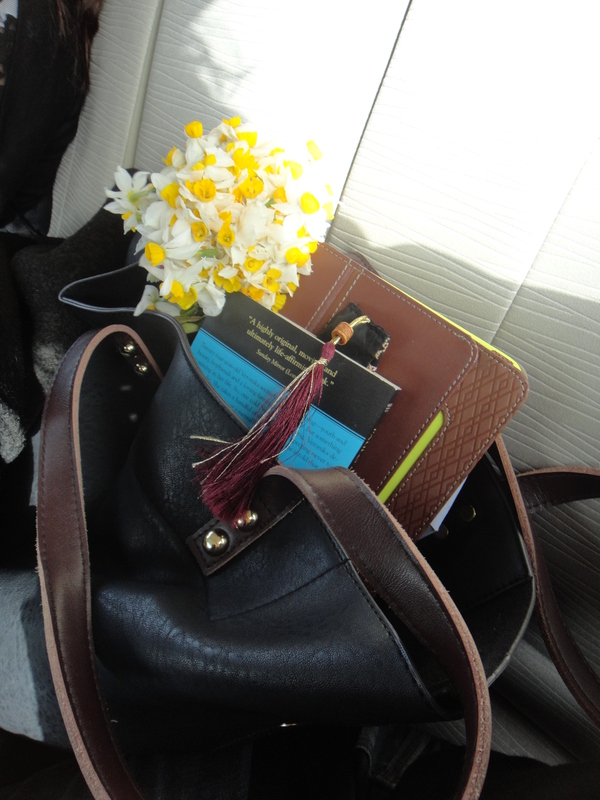 My never ending love for Nergis flowers fresh from the mountains of Kurdistan. Spring has come early! Celebrate love my dearest. Celebrate it today, tomorrow, every February 14th and every other day of the year too! In the meantime this week I felt March has arrived early and the sight of the Nergis (narcissus) has taken my heart away! If you’re celebrating… how about some Nergis flowers to your love instead of the typical red rose? Let’s add a bit of Kurdish-ness to the day!